Our first encounter with Dennis Fano’s Novo brand was in early 2016 and his achingly cool offsets have been the subject of much gear-lust in these parts ever since. 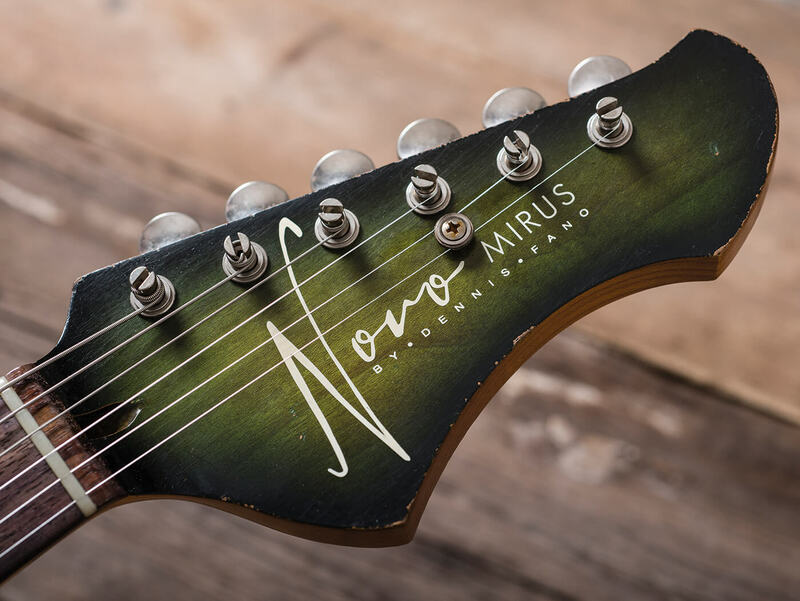 The Mirus is the new kid on the block and is essentially a semi-hollow version of the solidbody Serus model. Although all Novos share the same basic outline, there’s a huge level of aesthetic variation on offer thanks to a choice of pickups and hardware, a rainbow of finishes in various levels of distress and plenty more custom options besides. Whether they’ve had Fano, Novo or Rivolta stamped on the headstock, Dennis’ electric guitar designs have long betrayed a love for both Fender offsets and Rossmeisl-era Rickenbackers. 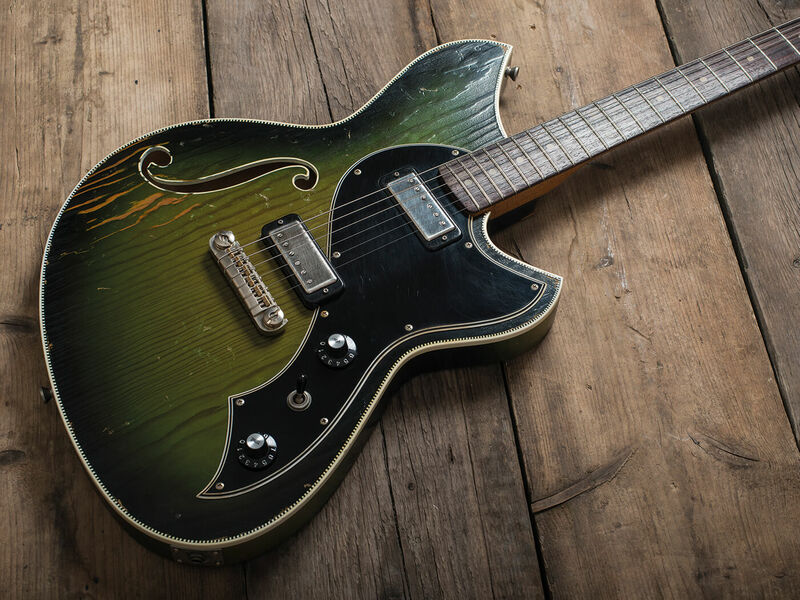 The Mirus J is a wonderful collision of some of those styling cues, and as such we have an offset-body outline that’s Jazzmaster-like below the waist, while the pointed horns have their Ricky DNA accentuated by authentically irregular checkerboard binding. The vibe is not a million miles away from a Fano RB6 Thinline that we encountered in another life and really should have bought. The tempered-pine body’s raised grain looks fabulous under the thin nitrocellulose Cat’s Eye Burst, and the Novo workshop’s ageing job is impressively detailed, as always. The wear isn’t just skin deep, either – it has major implications for playability. Around the back of the medium-C maple neck (also heat treated, like the body), the burnished timber is a dead ringer for a heavily played and oxidised mid-60s Fender, both in look and feel. With the addition of a generous rollover at the edges of its purplish rosewood slab fingerboard and nicely rounded fret ends, the Mirus has the immediate familiarity of a vintage favourite and the playing experience is smooth and drag-free. Back at the body end, things get a little less Fender and a lot more Gibson, thanks to a pair of Lollar mini-humbuckers mounted in Les Paul Deluxe-style rings and a Schroeder wrapover bridge, which incorporates six individually adjustable brass saddles. With just a master volume and tone and a three-way toggle pickup selector switch, the controls are simple. When it comes to the build, proceedings are less straightforward. Aside from the aforementioned checkerboard binding that sits inside an additional plain outer strip (both somewhat nicotine-stained in appearance, complete with dents, scratches and dirt) the body features a centre-block running all the way to the tail, while a subtle contour is created where the body thins out from around 45mm to 35mm deep in the forearm area. 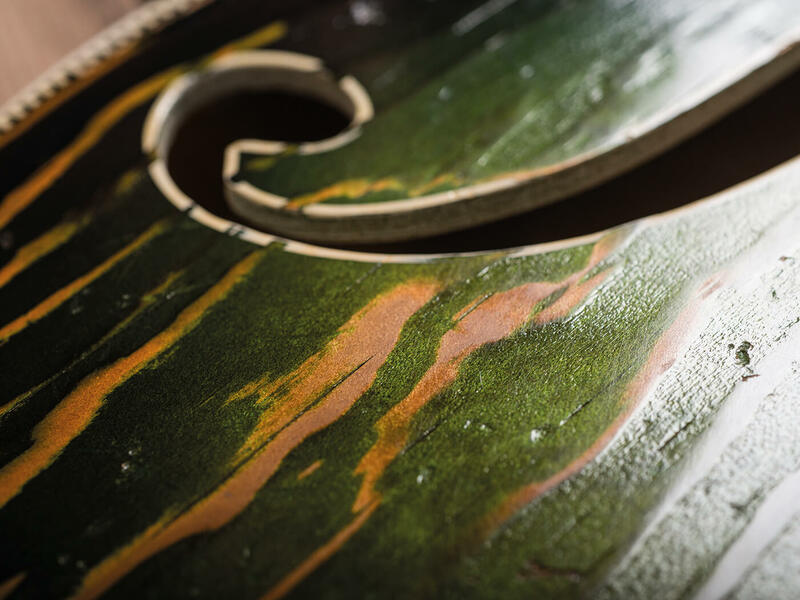 A more time-consuming and intricate manufacturing process always equates to extra cost, but the quality of the work exhibited here is exemplary. 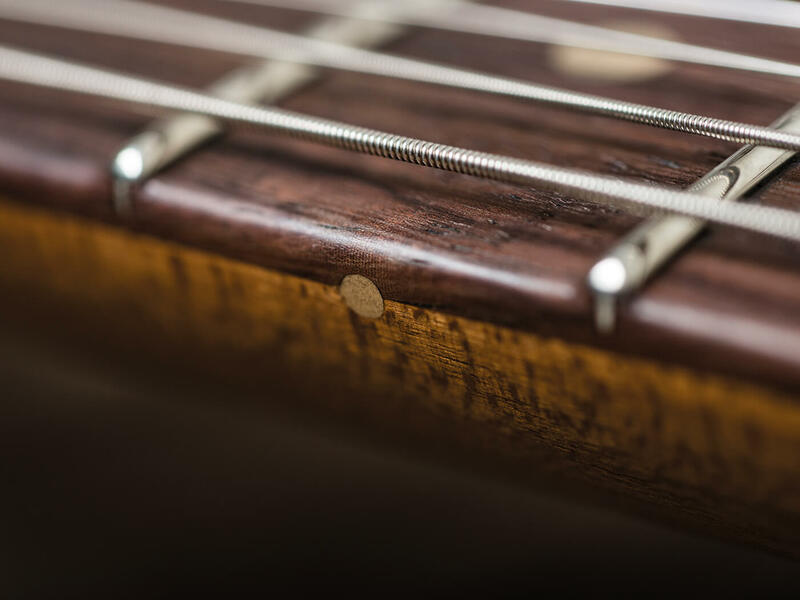 The inevitable result of making an already lightweight guitar even lighter at the body end is that you’ll need to choose your strap carefully to help prevent neck dive. Alternatively, simply order a Mirus with a Bigsby to balance things out a little. Regular readers won’t be surprised that the second option gets our vote. Having owned a few old mini-humbucker guitars in the past, we always loved the tones but found that excessive microphony could be a deal-breaker at stage volumes, even with moderate gain. Jason Lollar’s take on the mini-humbucker theme avoids squeal by wax-potting the coils but happily, plenty of upper-harmonic interest is still retained. With stated DC resistance levels of 7.2K (bridge) and 6.6K (neck), we’re definitely still in vintage rather than hot-rod territory. The Mirus J’s acoustic air and resonance working in unison with the clarity of mini ’buckers is a golden combination and there’s touch-response here in spades. Before we even think about navigating away from the neck pickup, with a small US-voiced valve combo on the point of breakup you can explore lush, sparkling clean voices by playing softly with fingers, dig a little harder for gritty blues or attack the strings down near the bridge with a pick for nasal lead tones evocative of the early Stones singles. Flip to the middle position and the tone hollows out in a jangle-friendly manner. This is where you get your Beatles and Petty-type tones with a little Gretsch and Rickenbacker in their DNA, but it’s equally good for soulful funk and those Meters or James Brown moments. 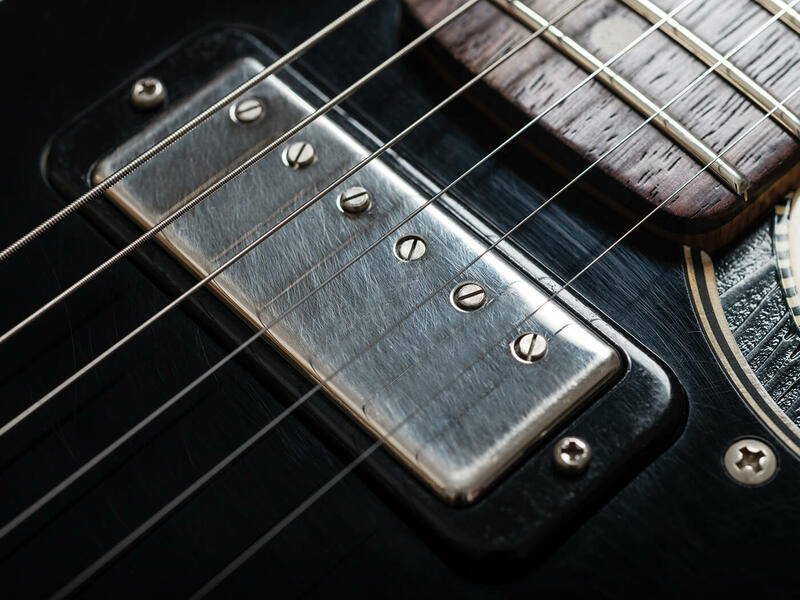 In contrast, the bridge pickup is like a Telecaster that’s had too many Smarties – it’s tight, punchy and wiry without sounding thin or scratchy and provides a killer platform for power-pop rhythms and muscular country twang. Versatile and impressive. Although plenty of ‘boutique’ builders have jumped on the bandwagon, Dennis Fano is still in the driving seat. The design elements he borrows from the past hang together with a cohesive elegance that’s rarely seen elsewhere and, most importantly, his instruments sound and feel every bit as spectacular as they look. Another virtuoso performance from one of the world’s leading electric-guitar designers.